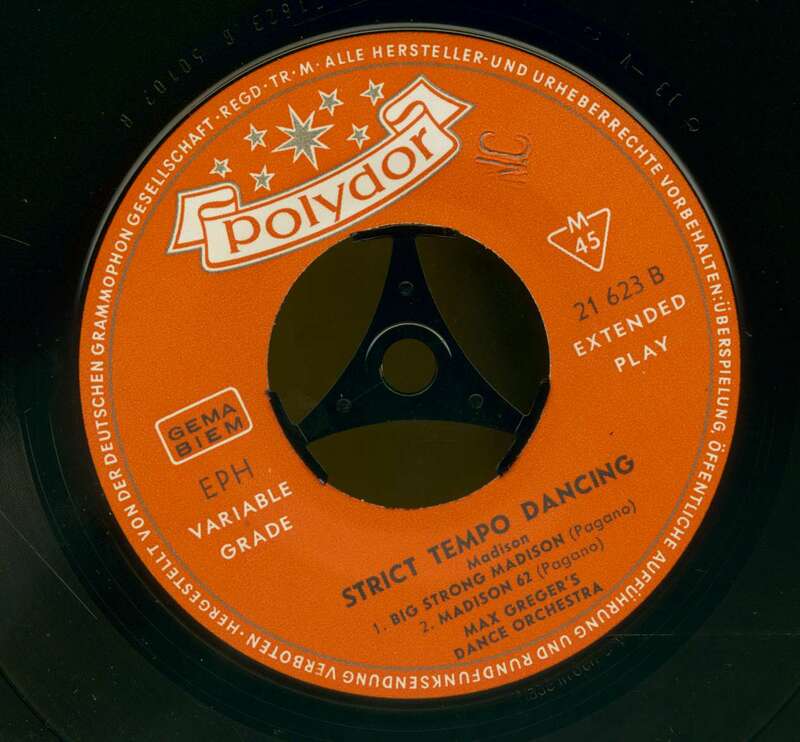 It is often asked why current novelty dances are not accepted as competition dances. 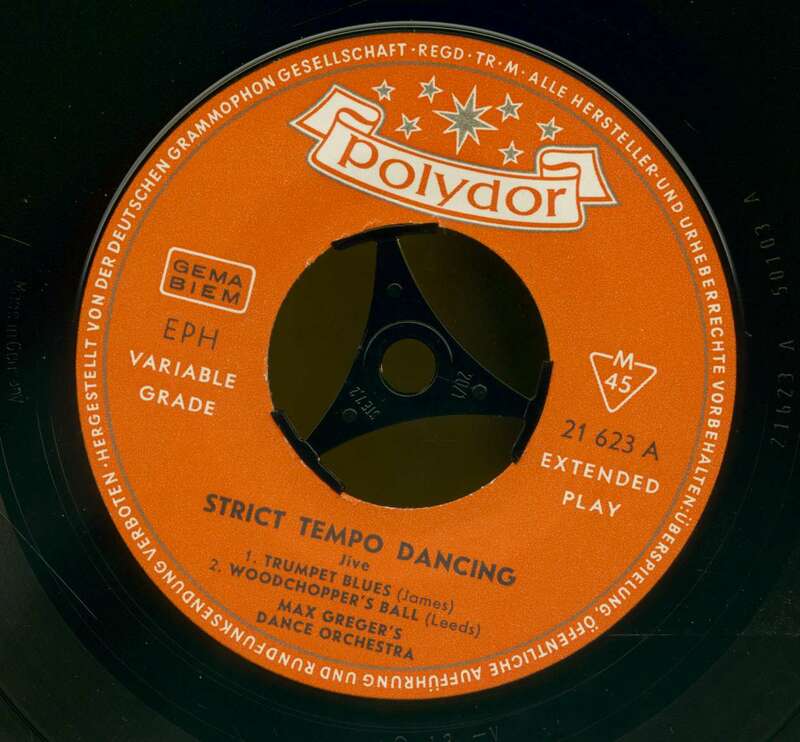 Quite apart from the fact that a novelty dance is seldom suitable for competition work because of the lack of attractive steps and would thus appear uninteresting on the dance floor, most couples just would not have the time to include more dances in their programme and polish their performances to a world championship standard. There are, of course, couples who make specialities out of these dances and practise them as show dances which they then perform to the great delight of all the spectators. 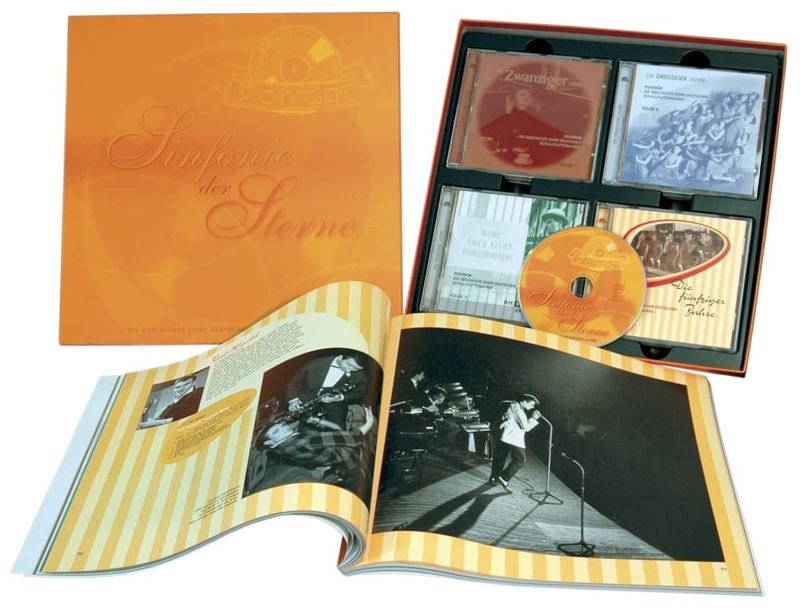 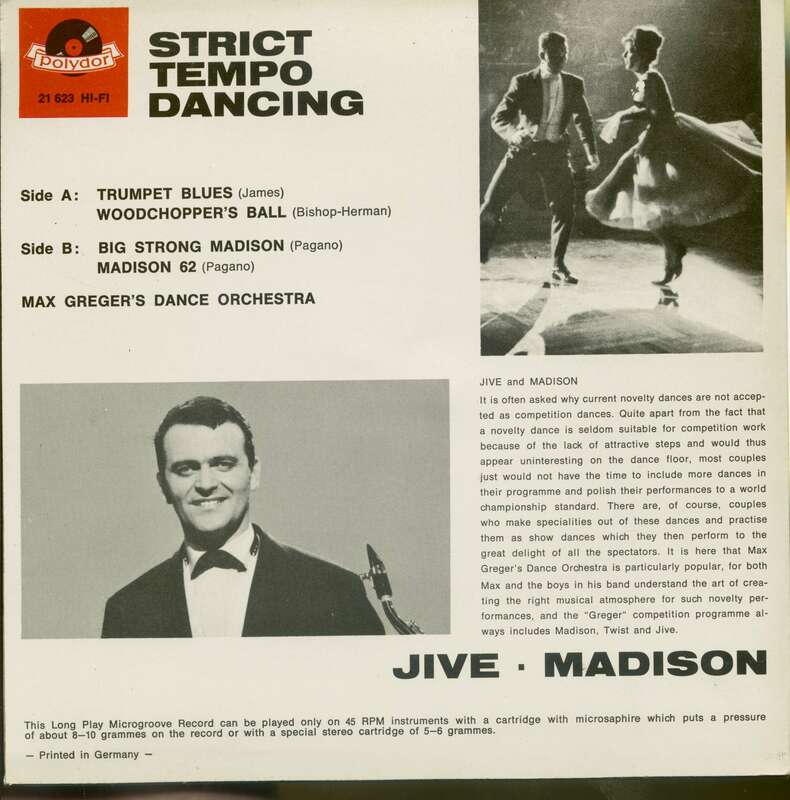 It is here that Max Greger's Dance Orchestra is particularly popular, for both Max and the boys in his band understand the art of crea-ting the right musical atmosphere for such novelty per-formances, and the "Greger" competition programme always includes Madison. 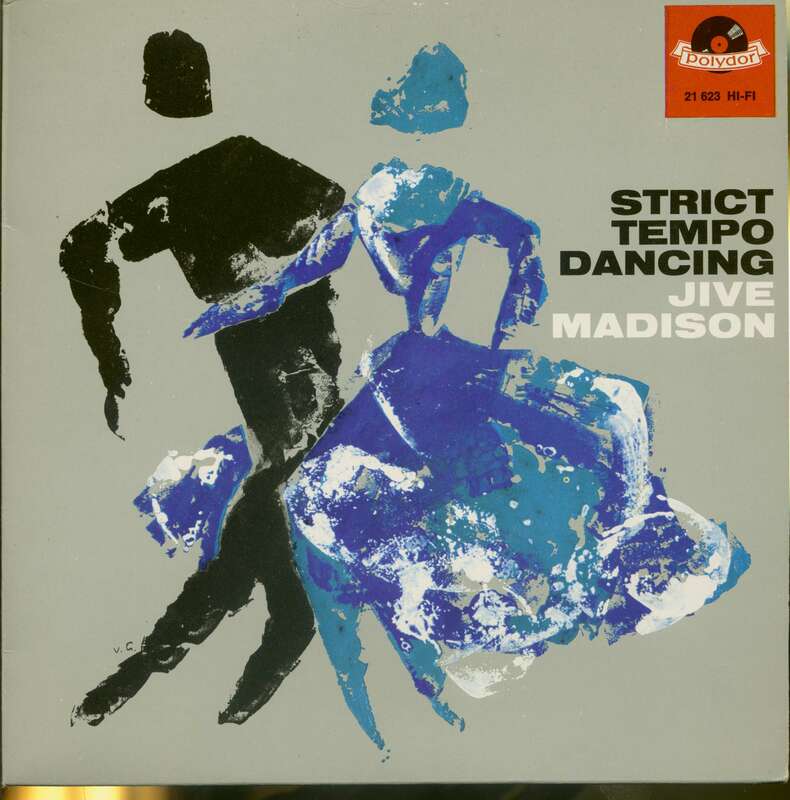 Kundenbewertungen für "Strict Tempo Dancing - Jive & Madison (7inch, 45rpm, EP, PS)"